As you can see, we are quite active lately. We are trying to catch up with all the information we should have been providing a little bit sooner but we are overloaded by work and we are travelling as well which make it difficult to blog and post good article. In this post, we are sharing the updated version of the install-xrdp.sh script. As you probably know now, Ubuntu 16.04.3 release has introduced some changes at the operating system which has impacted the custom installation procedure of xRDP. 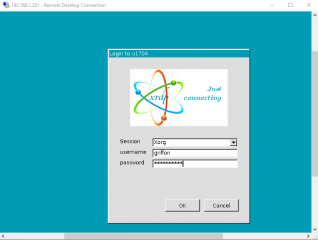 To easy the installation and provide some level of automation, we have been providing a nice little script that automate the installation of the xRDP and configure your system so you can connect to your favorite Unity Desktop through remote connection. The latest version of the script (install-xrdp-1.9.sh) was working fine until the release of Ubuntu 16.04.3. This release has introduced a small change that has broken the custom installation process for xRDP. Based on the information and findings of these posts, we have updated the install script and we are providing it here.. The version 1.9.1 script has been re-worked (and maybe we should label it version 2.0). It has been updated quite quickly and we didn’t got the time to test intensively but we think that the changes introduced in this version will work on most of the cases. This script should be run only on Ubuntu 16.04.3 (so far) as we have not tested it on higher version. simple check of the desktop interface in use while running the script. 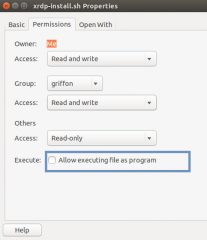 The script will execute only if you have Unity Desktop interface running…. We download the xrdp binaries first and then download and install the necessary software prerequisites. We have updated the script to version 1.9.1 to make it clear that this is the latest currently available version that works…. Disclaimer : As usual, use this at your own risk !! /bin/echo -e "\e[1;32m Dectecting Ubuntu Version and Desktop in use...\e[0m"
/bin/echo -e "\e[1;37mSupported version detected....proceeding\e[0m"
/bin/echo -e "\e[1;37mUbuntu Version :$version\e[0m"
/bin/echo -e "\e[1;31mYour system is not running Ubuntu 16.04 Edition.\e[0m"
/bin/echo -e "\e[1;31mThe script has been tested only on Ubuntu 16.04.x...\e[0m"
/bin/echo -e "\e[1;31mThe script is exiting...\e[0m"
/bin/echo -e "\e[1;37mUnity Desktop interface Detected....proceeding\e[0m"
/bin/echo -e "\e[1;31mYour system is not running Unity Desktop Interface.\e[0m"
/bin/echo -e "\e[1;31mThe script has been written to enable Unity Desktop in remote session...\e[0m"
/bin/echo -e "\e[1;32mPreparing download xrdp package\e[0m"
/bin/echo -e "\e[1;32mPreparing download xorgxrdp package\e[0m"
/bin/echo -e "\e[1;32mIntegrating fix for fontutil bug in ubuntu\e[0m"
/bin/echo -e "\e[1;32mXRDP Compilation about to start ! \e[0m"
/bin/echo -e "\e[1;32mMake Operation Successful ! \e[0m"
/bin/echo -e "\e[1;31mError while executing make.\e[0m"
/bin/echo -e "\e[1;32mxorgxrdp Compilation about to start ! \e[0m"
/bin/echo -e "\e[1;32mPlease test your xRDP configuration....\e[0m"
/bin/echo -e "\e[1;32mCheck c-nergy.be website for latest version of the script\e[0m"
/bin/echo -e "\e[1;32mwritten by Griffon - August 2017 - Version 1.9.1\e[0m"
Right-click on the file, go to properties, then select permissions and tick the box allow executable…. You might be prompted for a password. Provide the password and proceed with the installation. Wait for completion of the script. The machine will not reboot automatically when done so you can review the actions performed by the script…. At this stage, if everything is working as expected, you should be able to perform a remote desktop session to your Linux machine. In the xrdp login page (the green background), ensure that Xorg option is selected, provide your user name and password, and you should be able to access your Ubuntu machine. Normally, in the xRDP login page, the keyboard should match the one you are using on your normal computer. This was not the case in the past and has been fixed with the introduction of the xorgrdp server (it seems). However, note that within the remote session, the keyboard layout might not match if you are using multiple ones. This can be easily fixed through the indicator language bar within the xrdp session. Select the proper keyboard layout and you should be good to go…. The user that has executed the script will be able to remote desktop into Ubuntu and the Unity Desktop will be launched automatically. 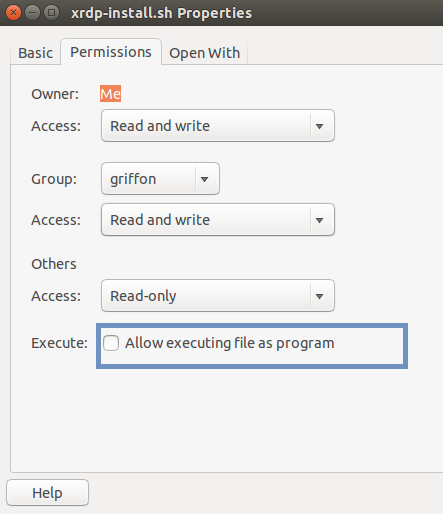 In Ubuntu 16.04.3, you can have the same user logged into the console and to the remote session and this scenario would work. In later version of Ubuntu, it seems that the behavior has changed…(we will investigate a little bit further). The user will be able to reconnect to an existing session as well and the user will be able to use the clipboard and drives redirection features.. Surprisingly, we have have not really discovered many issues with this configuration so far. The performance are acceptable over a LAN network. The interface is quite smooth and we have access to the different applications, we can even change wallpaper while performing the remote session. The logout process is still a little bit problematic. You have to go twice through the logout process to have it working..
Voila ! The new script version is available and should be working till the next coming Ubuntu updates probably…. We are still hesitant in adapting the script for Ubuntu 17.04 and Ubuntu 17.04 Gnome desktop as starting from these releases, xrdp package 0.9.x is available out of the box and with the xorgxrdp component…. Thank for the visit and your (partial) comments…. Unfortunately I enclosed the comment in brackets. Its “lsb_release -d | grep -o 16.04.3”. Unfortunately I’m still fighting the xrdp install in Ubuntu 16.04.3. I’m in and can get to the command line but everything runs slow and the background seems to get not update correctly. Anyways I can get to the command line. By the way there is a copy error on the file you posted on this page. The error is NOT in the download file. I put some ### signs around the error. You state “The logout process is still a little bit problematic. You have to go twice through the logout process to have it working.” I believe that this is where the problem lies in Hyper-V and I suspect also in VirtualBox. In a Hyper-V Ubuntu 16.04.3 I can make the connection with the remote desktop. 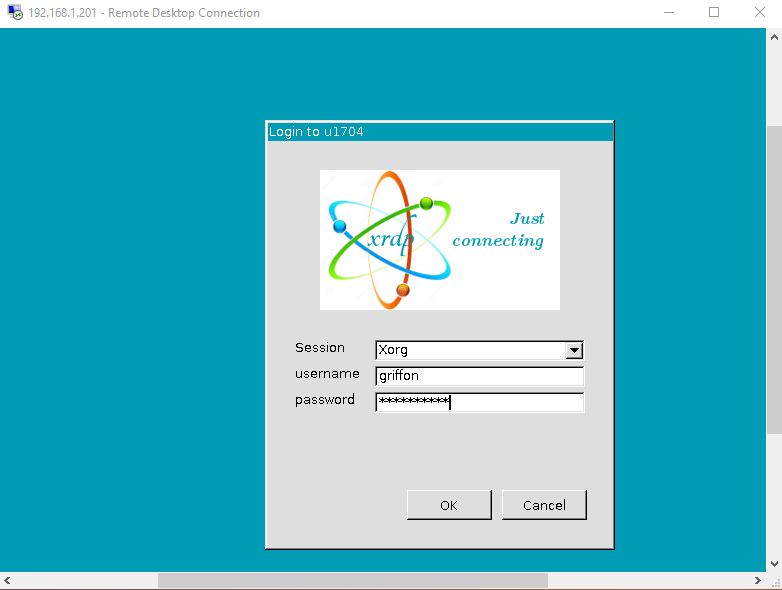 But after the first connection with remote desktop is ended using the logoff script you provided or dropping the connection I can not get back to the log in screen from the Hyper-V manager. I can still remote into the Ubuntu 16.04.3 desktop through the remote desktop connection. That’s it for now. Cheers. Now I can get into the Ubuntu 16.04.3 from the hypervisor (v. 2012) and a Win10 remote desktop connection. Kudo for the work done, much appreciated. However, is there any chance to make the same tutorial for Kubuntu 16.04.3 with Plasma 5? After had installed script in my Ubuntu 16.04.3, mouse and keyboard didn’t work in local console. Would you check it ? I tried running the script renbuar provided without using sudo but on a “sudo reboot” the screen went all wobbly (slow and crashed). Also I determined that the logoff script provided by Griffon works nicely. It seems gentler than my “pkill -u username”. “sudo apt install –reinstall ubuntu-desktop”. I guess it will involve a hunt through the log files and/or apt-cache package files to determine what the problem is. To Griffon thanks for all the hard work. Cheers! This one is a strange one as the script simply install some packages into your system… Are you running hyper-v, virtualbox virtual machines or physical machines… ? Thank for the comments,feedback and technical alternative to detect Ubuntu version…. We will try to update the script to include more distribution but this might take some time as we are really busy right now…..
Hope that helps you get back to a local connection. @Griffon, Thanks so much for the script, very useful. Could I suggest a change in the script? After cloning from the xrdp repos, could you reset to the specific commit that worked for you before starting the build? This will protect your script from unstable/breaking commits that may not have been tested yet by the xrdp devs. I would like ask questions about Ubuntu Desktop on xrdp. 1. I can’t install any packages through app Software or Synaptic Package Manager. We didn’t encounter this issue. are you running virtualization solution ? have you checked that the xserver-xorg-core package is installed on your system ? We will see if this is an option in the future as for the moment we are overloaded by projects, work, travel…so not so much time to blog lately..
After had installed script in my Ubuntu 16.04.3, i connect by xrdp to Unity desktop. @Griffon — Some of @Oleg ‘s problems are due to a lack of elevation prompts, I believe. A problem I’m having as well. A good test of this is to download Google Chrome and try to install it through the UI. Remotely, it either hangs or just self-cancels. Locally I’m asked for admin credentials. I also get crashes in polkitd and aptd that are new. I believe these may also be related to the elevation problem. I’m sure this is a minor configuration issue, but it’s beyond my admin-fu, for sure. We have not fully tested the xrdp on gnome yet… For install packages, try to run from the sudo command line to start software center and see if this is better. If this is the case, then, elevation might be blocking you…. For the appearance, maybe a typo in the .xsession…. file .. Double check that the commands are correct…. (EE) The ‘-logfile’ option cannot be used with elevated privileges. So, you should go to your ubuntu, log into the console, open the terminal console and execute the command (with no sudo) and see if this works….. Finally, please have a look at the following post (http://c-nergy.be/blog/?p=9433), it s probably outdated but might give you some hints..
does the gpu acceleration work works on the remote machine? nice script. It works perfectly. And yes, the version check at the beginning should be adapted. Thanks for your support. There are two causes for problems that mouse and keyboard do not work when reboot after install xrdp on VMware Virtual Machine. 2. LightDM does not support X.org driver. 1. Install ‘ Vmware-tools’ rather than ‘ open-vm-tools’ . 2. Use GDM instead of LightDM. This will make it work. It works my vmware workstation 14 pro. Thanks for your awesome articles about xrdp, it really helps ! This script works perfectly excepts that my launcher is missing and the top bar (logout , links). I’m running this on Ubuntu 16.04.3 (not a virtual machine), i tried with your previous scripts same issue. as a test, could you right-click on the desktop then select new terminal and in the terminal issue the command exec unity => do you see a normal ubuntu desktop or do you have an error ? Can you check your logs /var/log and ~/.xsession-error files, and see if any hints to find the solution to your problem ? I just would like confirm. Missing top bar (language switch, time,logout) in xrdp. Look forward to new version of script with fix this issue. We have updated the script to version 1.9.2 (really minor changes) and we can see that the Unity Interface is working as expected. We can see the Top bar and the logout options…. Did you download the script or simply copy/paste from the blog ? Do you have an update for 16.04.4? I am unable to get this to work and I am wondering if its due to the version. Sorry Griffon, I wasnt being impatient and I understand the delay, I just appreciate the script and the help! Its a physical machine, a desktop in my office, that I was simply looking to remote into and preferred (x)RDP and a little googling brought me to your script. I ran it, it ran fine, no errors that I see. When I connect from mstsc.exe on my windows 10 laptop it presents me with the log in screen, after I put in my credentials the screen turns black for a few seconds then disconnects me from the server. also fyi, the script text above and the actual download link you have on this page appear to be slightly different. I ended up trying the downloadable one first then overwriting it with the version copied from text because I noticed the header was more recent. As other commentor’s have mentioned, I had to remove the version check section as ‘uname -m’ doesnt list kernel version anyway. You have been doing the correct thing so far… Indeed, the detection method for the os is a mistake from our side…. We have noticed that since a moment but never had the time to update the script…. will do…..
For your issues, can you try the following….. logoff completely from the physical machine and try to connect only to remote session…. how to revert all changes made by this script? I can’t login to my pc after installation (keyboard not working). Both RDP and physical session are unaviable. In recovery mode after a while keyboard stops working with message “input overrun at /dev/tty1. I have access to ssh, disabled xrdp and xrdp-sesman, but still can’t use phisical keyboard to login. Basically, you simply delete the files and folders placed on your system during the xrdp installation and that’s it…..